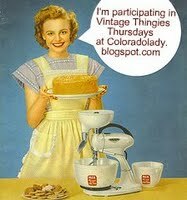 I everyone and welcome to this week's post for Vintage Thingie Thursday hosted by Suzanne at Coloradolady! I have two items to show you today. The first was a small find at Salvation Army for .99 cents. 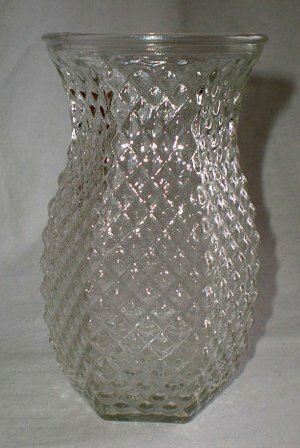 It is a Hoosier Glass Vase. 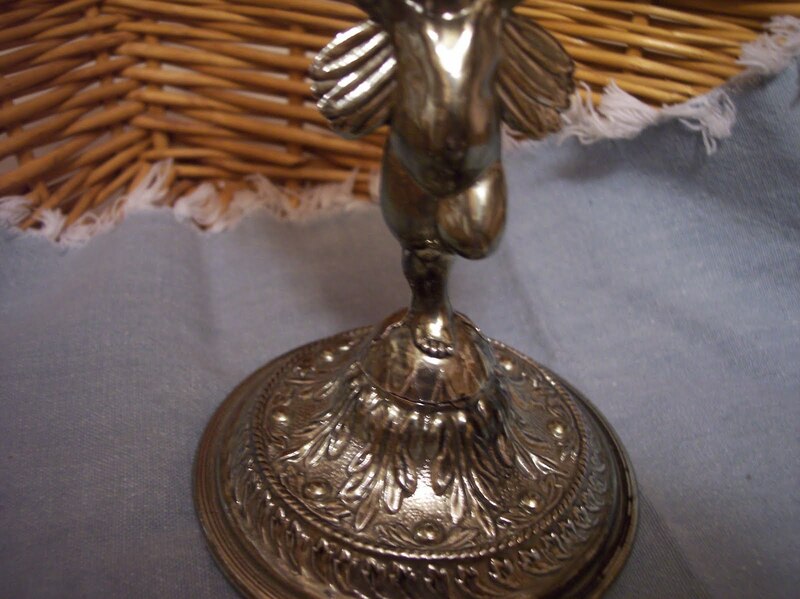 It stands about 6 inches tall and is 6 sided diamond cut design. It is stamped on the bottom "4071 Hoosier Glass". 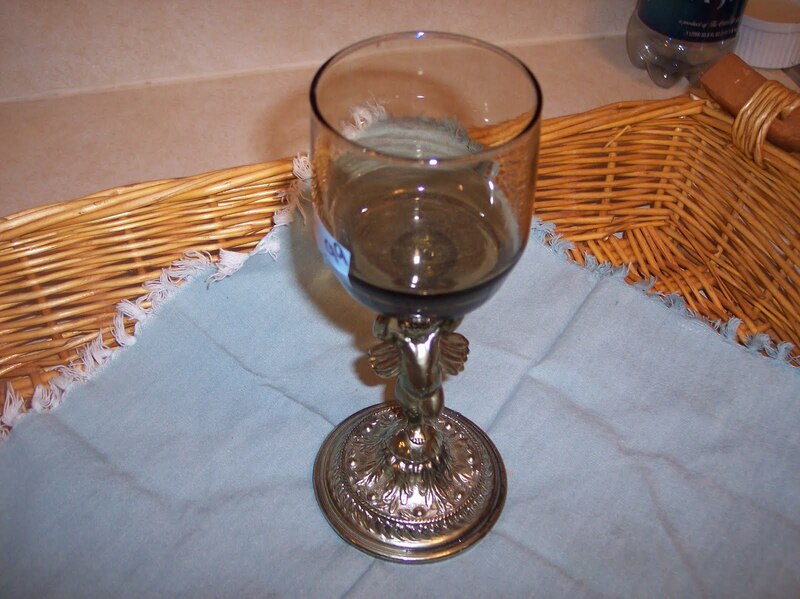 This definitely is not one of the high dollar Hoosier Glass pieces, however, it is selling for about $4.00 on Ebay (plus shipping) and considering I paid .99 cents out the door, I am pleased with this pretty little vase. Next up is a heavy brass candlestick. It has a cherub holding the glass. I got this awhile ago and I had thought of spray painting it white. But, the tarnish on the brass is so awesome at this point, I don't think I want to change it. At least not now. LOL I paid $2.00 for it. I honestly have no idea how old it is or the maker. I tried to search it out but, came up empty. Just a reminder, tomorrow is the last day to sign up for my giveaway! Check click HERE! The glass is beautiful, but the stand is so elegant. Love both. Both so pretty, and such good bargains! I really like both pieces but the Hoosier glass is a great find. It reminds me of a piece my mother has. Whenever I'm looking to buy a vase secondhand, if it says Hoosier Glass on the bottom, I always buy it! But I know nothing about Hoosier! That's a really pretty candlestick too. I'm glad I'm not the only one that has a re-do box. Actually I've got several large re-do boxes! Beautiful vase, and Hoosier glass too...what a find. Pretty candlestick too, I like it the way it is! Have a great VTT and a wonderful holiday week ahead! I wish I could do as well as you when I go to these stores. Guess I just pick the wrong day to go. You did very well on your purchases. Don't you just love finding things for these kind of prices???? You did really well! I love them both! Please please don't ever paint it-much nicer in it's original state! Loved the candle holder - how perfect is that for the holidays!! Great finds, the small vase will look so pretty out for the holidays. Aaaah, you've gotta love the Salvation army. 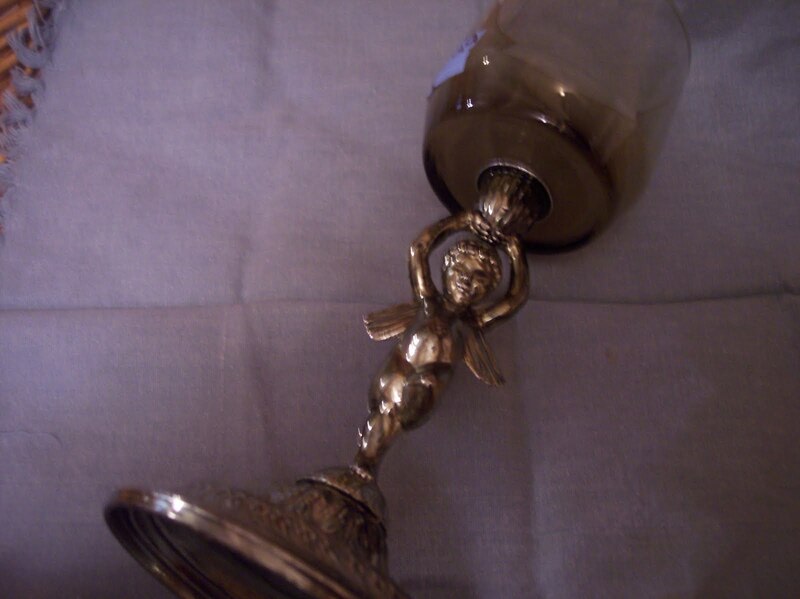 Cute cherub holder - he looks very cute as he is!